When I moved into this old beach cottage, all of the lighting had to be replaced, stretching the budget in many directions. I opted on transforming an inexpensive large basket I found at Burlington Coat Factory (they have a good home decor department) into a hanging pendant lamp shade over the dining room table. The over-scale size of the basket anchors the dining nook and makes the whole space read bigger. 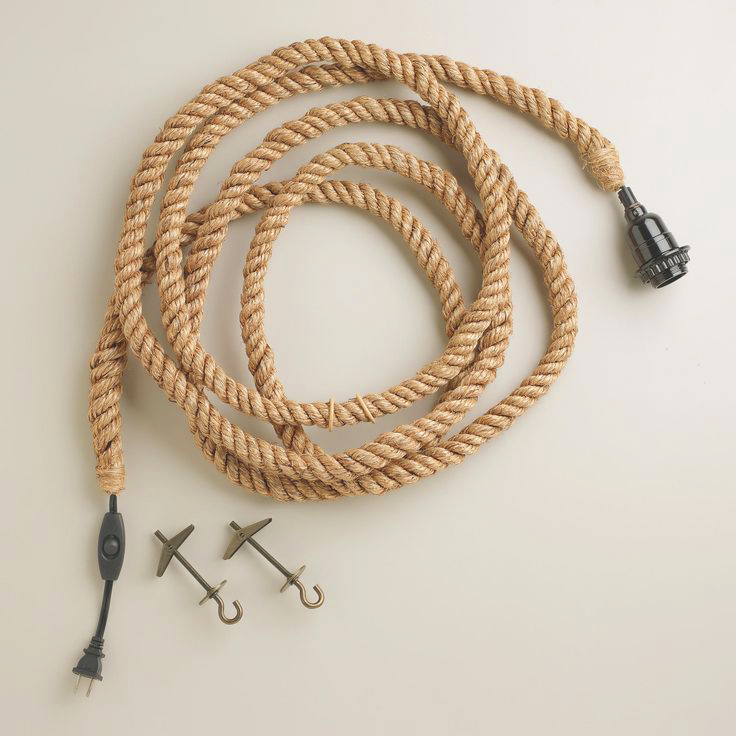 Make a plain lamp look fresh and pair it with a jute lamp cord from World Market. Lamp cords in different colors and textures can add a great deal of surprise and personality to a humble light. I tied the lamp cord into a figure-eight knot for added interest and installed it with the help of my contractor friend, Joe. 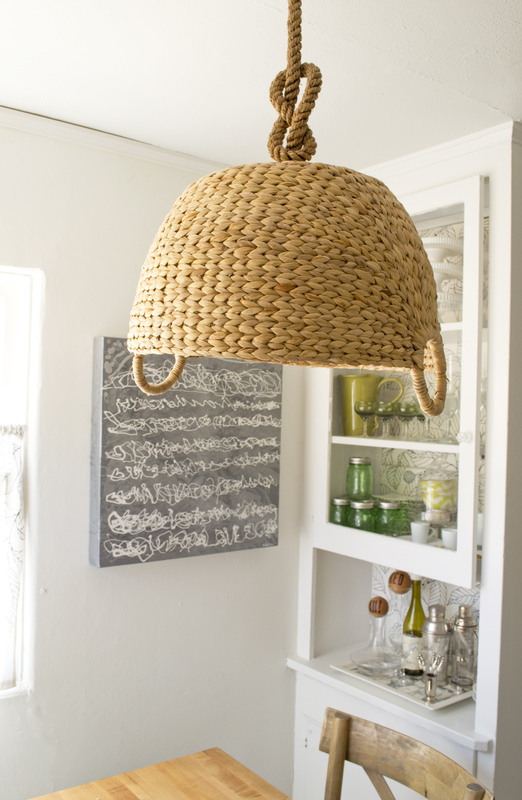 The basket pendant lamp is just what this little dining nook needed. Onto the next!